This one day conference will bring global and national thought leaders to Ireland to connect with up to 300 professionals and employees from a cross section of industries in the private and public sector. Join global and national thought leaders from companies including Facebook, EY, the Irish Defence Forces, GLEN and many more. 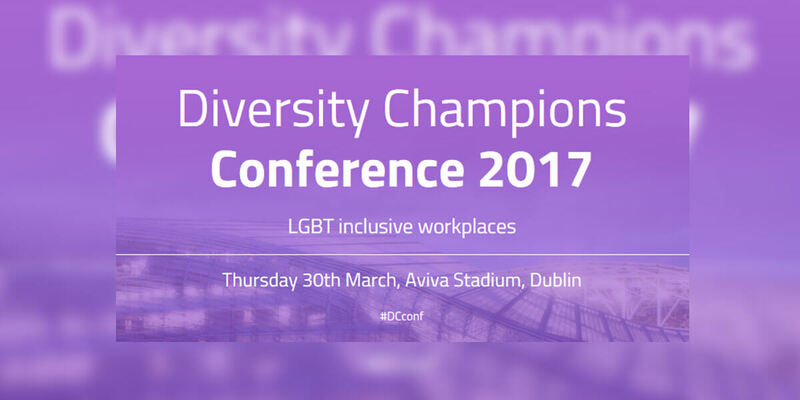 From tech companies to uniformed services, from professional services to public sector employers, this conference is an opportunity to connect, learn and reflect on how to ensure your organisation is fully inclusive of LGBT employees, your clients and customers. The positive impact of an inclusive workplace is clear for LGBT people and businesses alike.